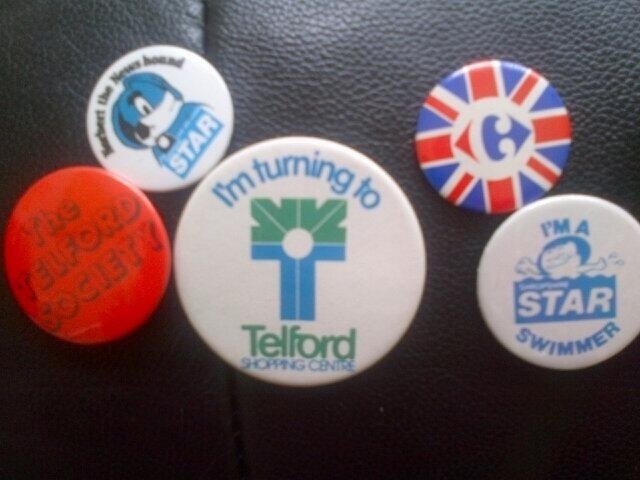 Not an entire history of Telford in button badges, nor is it on par with the Staffordshire Hoard, but this is pure 80s gold for our recent history of Telford section. This treasure trove has been unearthed from a loft in Telford. A couple of Shropshire Star ones, a Carrefour badge (the union flag one) and a Shopping Centre one, all from the early 80s at a guess. One I can’t fathom is The Telford Society one. What was that all about? In a badge epiphany, Mrs C who contributed these photos, played her joker. 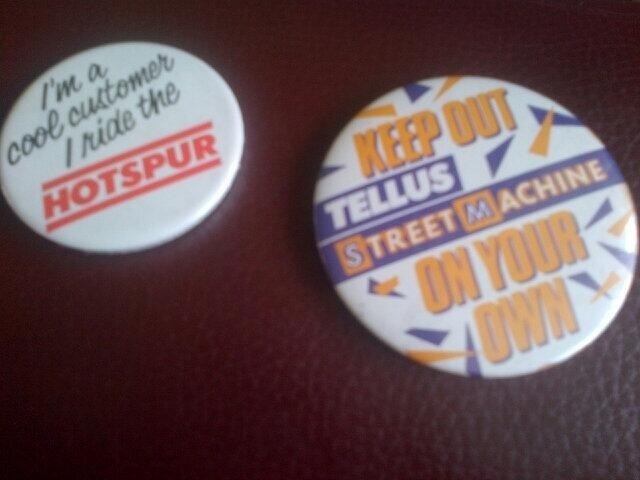 These badges are to promote the local bus service. Tellus & Hotspur. Exactly what made the bus companies think that an investment in button badges would increase the take up rate of local public transportation is anyone’s guess, but I’m grateful that these badges are now captured for posterity. Thanks to @wrekinranger for the photos.